No doubt about it boys and robots are a great mix. 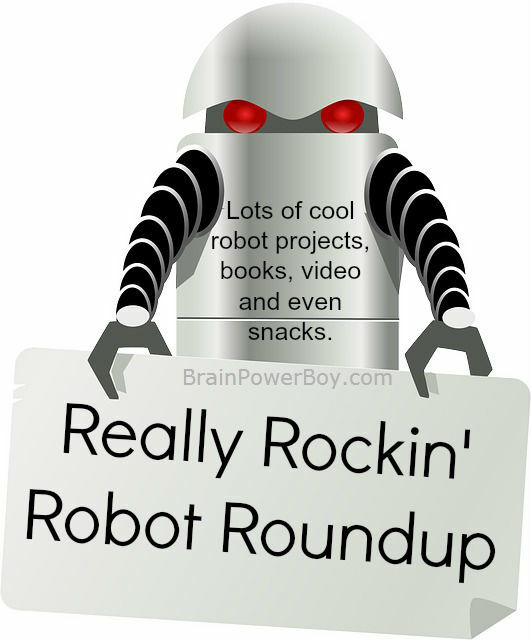 We went searching everywhere to find the best resources for a robot homeschool unit study for you. 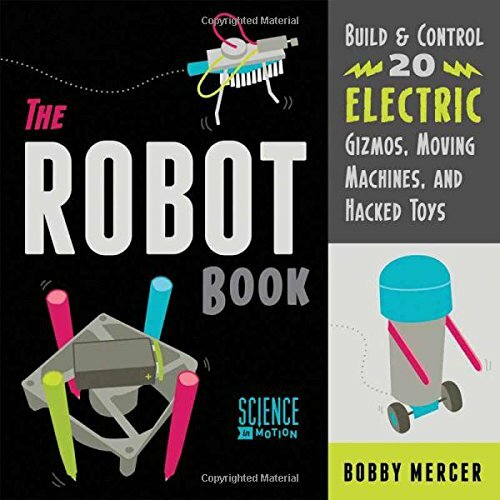 We pulled together a list of robot books, activities, LEGO robots, DIY projects, vibrobots and other robots to make. Using a homeschool unit study is a great way to get started because you can simply go down the list and explore. 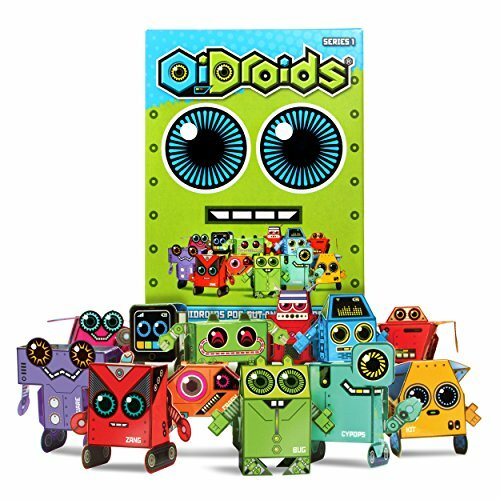 Scroll down to see our Homeschool Unit Study Robots edition. Wouldn’t your boy love his own robot? I know I would love to have one myself! It could do the dishes and the floors, and take care of paying bills and all of the other gazillion things I have to do. 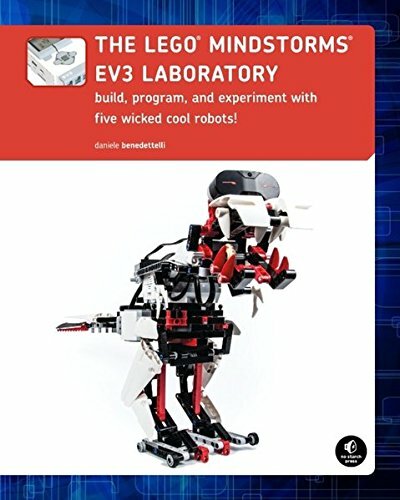 Well, I guess I won’t be getting a robot anytime soon but you and your boy can have some robot fun (and learning) with this homeschool unit study on robots. Enjoy! Robot Shadow Puppets from LaMaisonDeLouLou – includes rocket, moon and planet as well. Printable template included. Skull, tree and Robot shadow puppets. Printable template included. 12 Robots to color and add details to. Make them look really crazy cool! LaMaisonDeLouLou also has a neat set of Robot Cubes to make and includes printable templates to do so. 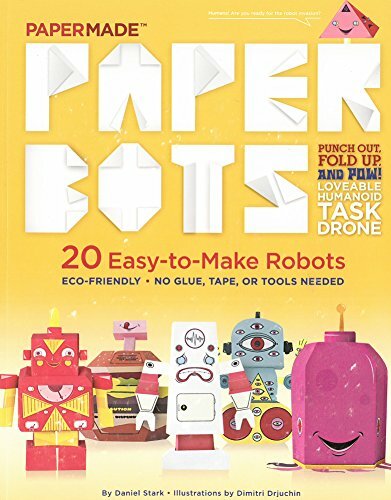 Get Scissors, and glue, fire up the printer and build some Awesome Paper Robots. I mean it—these are really Awesome! This Paper Climbing Robot from Housing a Forest is DIY with simple supplies: paper, string, tape, a penny, pieces of straw and a couple of beads. 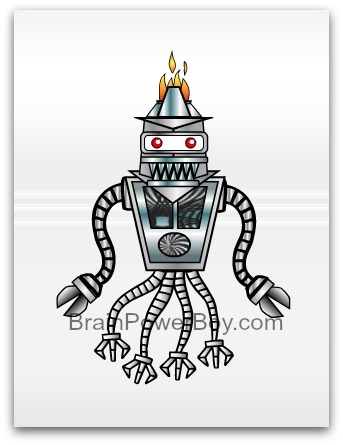 Build your Own Robot printable from PickleBums. Parts and pieces to put together to make your own robot. Print on paper, or on magnetic paper for some fridge fun. We made these cool robots out of re-engineered toys. Simply take old toys that you are not going to use anymore or grab some from a garage sale free bin and take them apart. There are all kinds of neat bits to use to make a robot! RealPurdy has a group of robots that are easy to make from tin cans. Pretty darn cute. I think you will like it because all the parts are connected with strong magnets making it an open-ended activity that can be used for a long time. 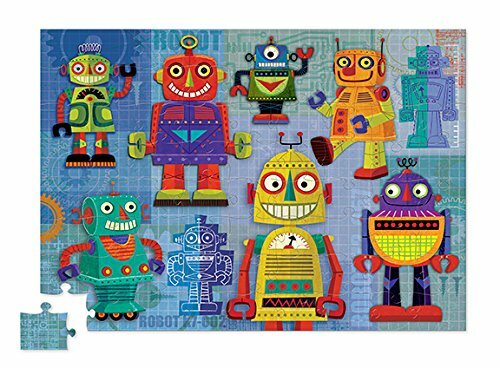 This framed robot felt board is a really cute idea as it can be an ever-changing decoration for a boys room as well as a toy. Build new robots daily. Easy! 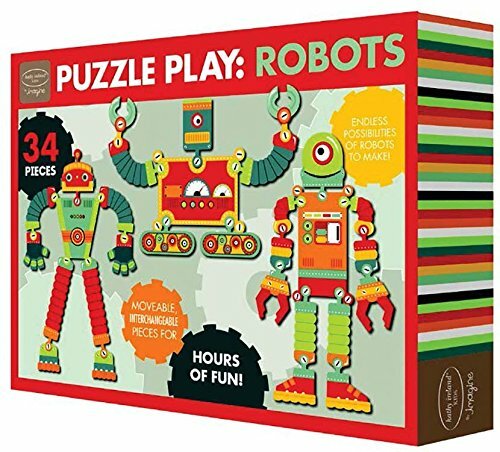 NASA has a robot puzzle game to play. This robot maze looks fun for younger kids. 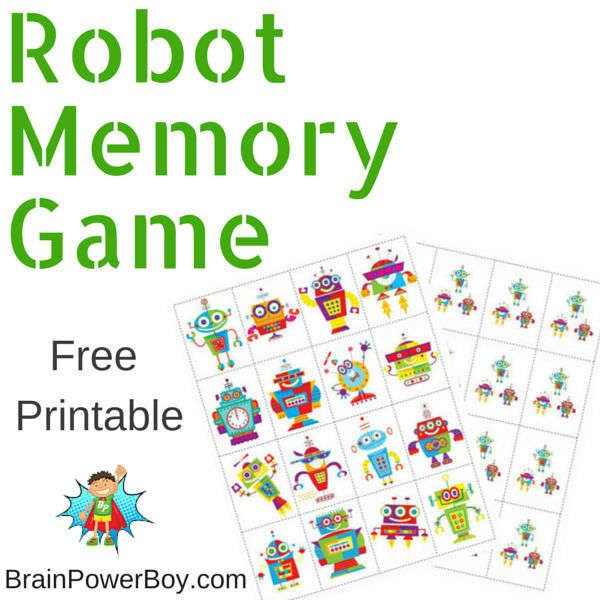 We made this fun Robot memory game for you. You are going to love the robot graphics! Art Robots for all ages. The instructions are for young children but this looks like a fun project for everyone. Create a robot from a clear CD case for the body which is really clever. Draw a robot by following the directions in this neat How to Draw a Robot slideshow or create one on your own. And your boys might enjoy these Robots by artist Mark Rivamonte. We found an online build-your-own robot creator. The image on the right is of what my son made–pretty neat eh? This would be fun for boys to mess around with for a while. They have a lot of different parts to use. 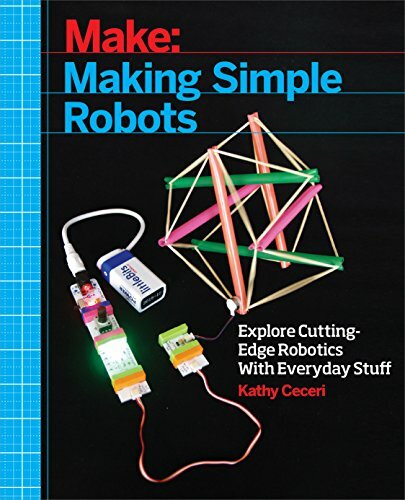 Making your own robot is perfect for a robot homeschool unit study. This is where a lot of learning happens! 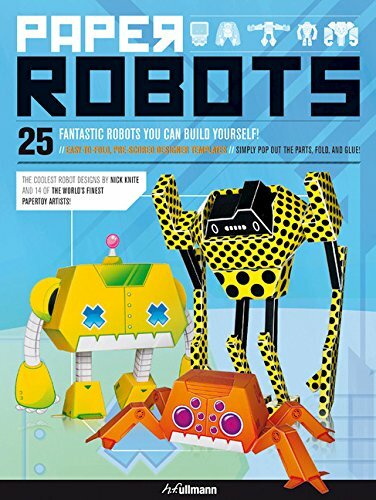 These vibrobots are quick and easy to make and are a perfect place to start learning about robotics. Each Cockroach Vibrobot costs about $2.50 each to make. You can buy something similar and we really like ours! They are more expensive though and the learning is in the making. Here is a vibrobot from Make Magazine made with a candy tin, coat hanger, and a motor plus a couple of wires and a battery. 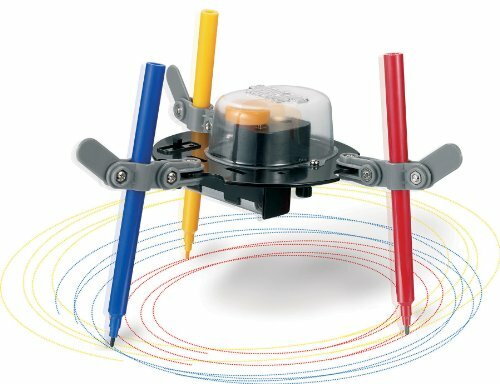 Kinetic Drawing Bug Robot. Using a small motor and battery holder plus a bit of wiring and plastic tubing your boys can create this cool moving robot. You can hook up a pencil to it to watch it “draw” or make a few and race them instead! Or try the doodling robot kit at left. Everything is included so it is easy for busy moms! 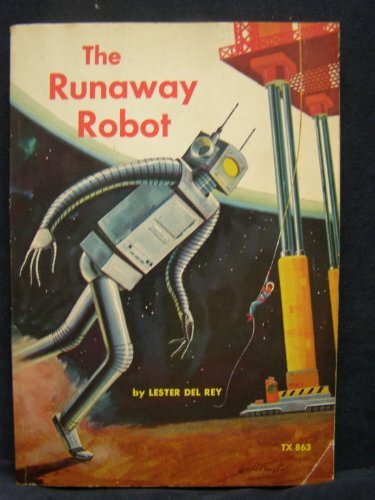 One of my husband’s favorite books when he was a kid was The Runaway Robot and my son thought it was great as well. Prices for this book are reasonable (a few buck) as I write this but please check before buying as they vary – I’ve seen it for over 165.00! 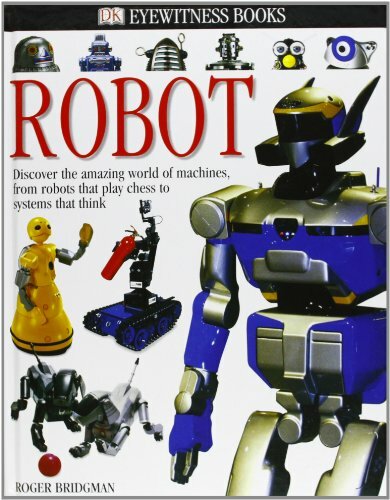 We have a great non-fiction list of books about Robots! as well as a Robots! Fiction Books for Boys list. 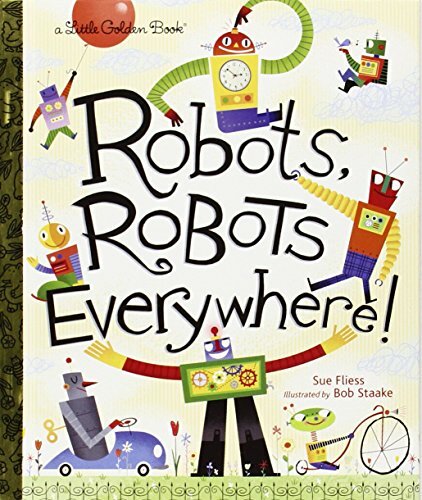 Here are a few fun more robot books for you and your boy to read and enjoy. We made some funny LEGO robots. <<<get the directions! They are super easy to make. 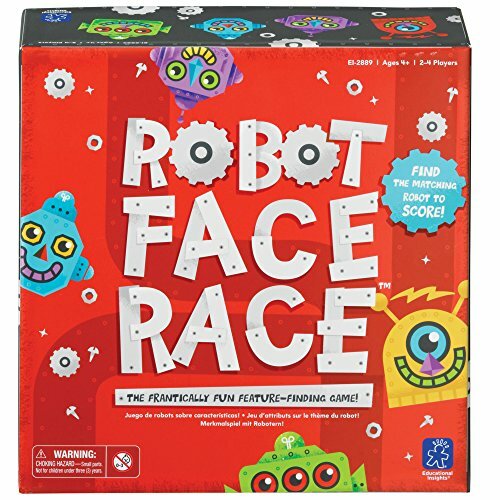 Kids will be using their imaginations and having a whole lot of robot fun. Here is a bit of LEGO Robot inspiration for your and your boys. There are no instructions but they are great for inspiration. Plus, they use some neat pieces in unusual ways. 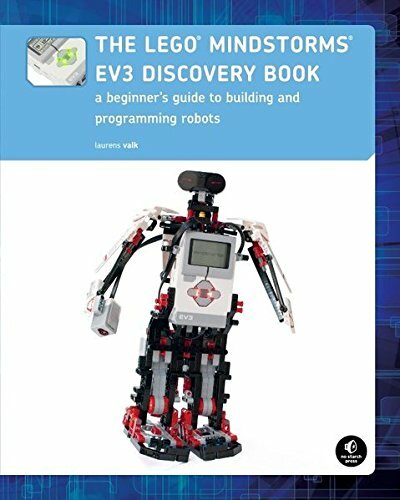 See the video below for LEGO robot instructions by Sean Kenney. Sean kindly agreed to let me interview him. Find out what he had to say about LEGO and learning. You can also check out reviews of his books, including the Cool LEGO book he uses in the video, right here on this site. Special thanks goes out to my son for contributing to this post! Here is the “cool robot” he made out of LEGO after watching the video from Sean Kenney. 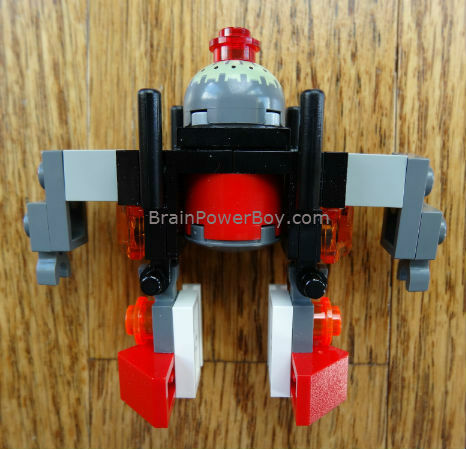 Older boys might enjoy building a omnidirectional holonomic LEGO robot. This takes some specialty pieces and a bit of know-how but there are detailed directions and it looks like a super project. We also made these LEGO Robots for you to check out. This was a fun and creative project that my son and I both enjoyed. We pulled together a great selection of videos on how to make your own robot that you should check out. 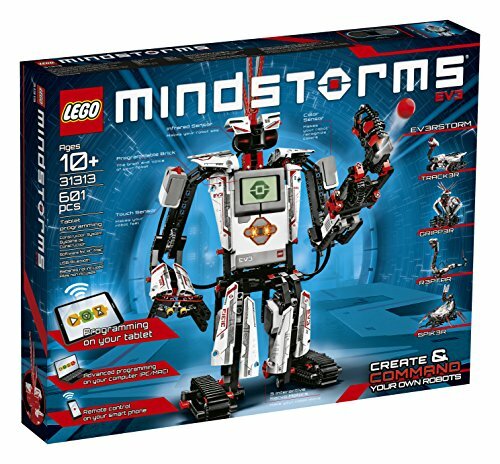 This includes a lot of different types of robots that your kids can build from scratch. Do not miss Virtual Robot Simulators! Playing with these virtual robots online will lead to a lot of questions and a lot of learning. How about a Wall-E Sandwich for lunch or a snack after some intense robot making! Then make your own marshmallow robot treats and Rice Krispie treat robots as well–really cute. 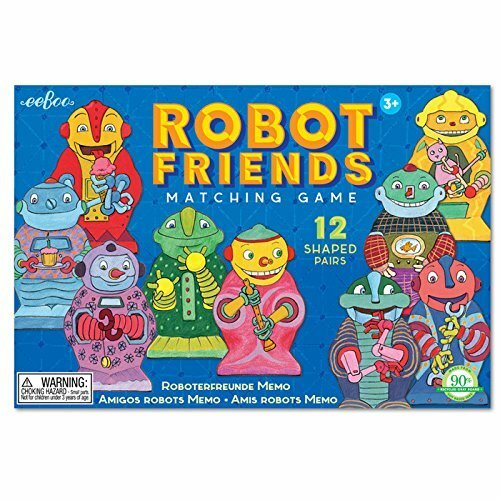 Oh and one last thing, just for fun: When looking for fun robot stuff I was excited to find these . Do you remember them? They sure take me back! Well, that wraps up our Robot Homeschool Unit Study. I hope you and your kids have a lot of fun playing with and creating robots. See BrainPowerBoy’s other Unit Study topics for more way to raise boys who love to learn. 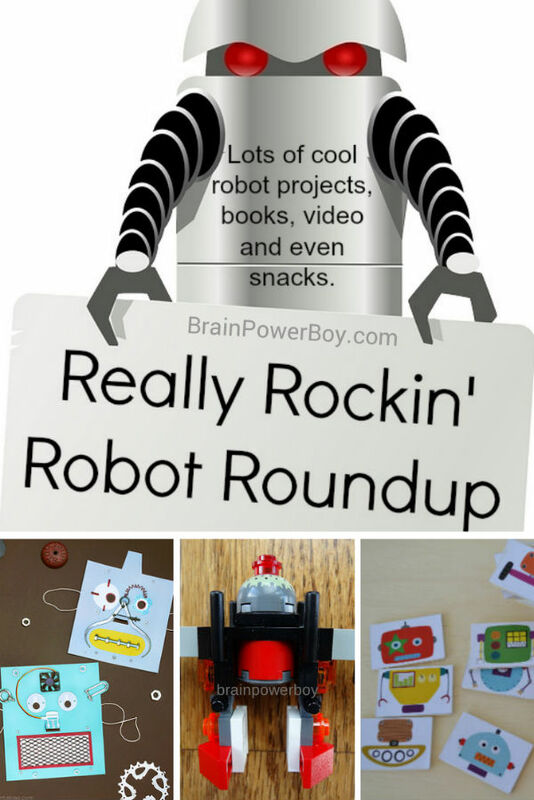 What a great list of robot ideas… I know a few kids who will love trying out some of these! Thanks for stopping by Clare. Yes, I would love to link up to your party. On my way to do so . . . So glad you made it to the party Sheila – and I’m enjoying hanging out with you and the other girls at Learn to Blog! LOL, yup I know what you mean about your house being turned into a lab or garage–funny 🙂 I like the paper robots too. These look fun! I’ve pinned this for my son 🙂 Thanks for sharing! Thanks! Glad you stopped by to take a look. Love all these robots! What a great post. Thanks for sharing at the Love To Learn Linky. Anne, Happy to share in your linky. We are big robot fans! 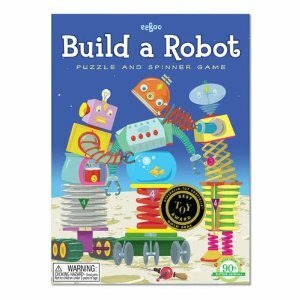 So many fun robot ideas! My son is starting to get into robots — thanks to the Hexbugs he got from McDonalds. I bet he’d love to try a few of these ideas! I hope he finds something he enjoys 🙂 Thanks for the nice comment and for stopping by. This post is amazing! I think you just planned our Thanksgiving break for us… Pinning to help others find and enjoy it too. Thanks for pinning Nikki. We are doing several robot book lists soon so I hope you will enjoy those as well. I love those robot masks!! Especially since I could use them to teach our little one shapes and he loves wearing things on his head/face. Thanks for sharing them with us. Me too. The masks are really cute. Good idea to use them for helping your son learn about shapes! This robot unit study is totally cool! 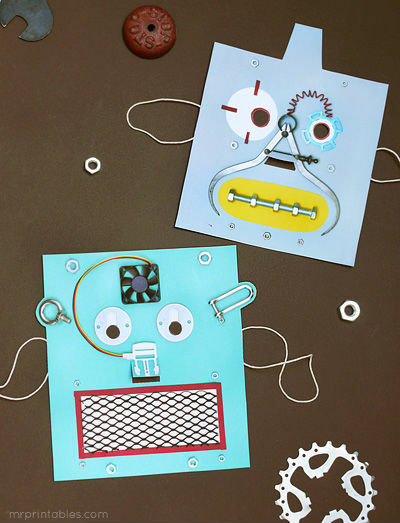 My kids have always loved robots, and you have listed so many creative and fun activities! Thanks for popping over and leaving such a nice comment. So glad you like it. “Totally cool” is a big compliment! 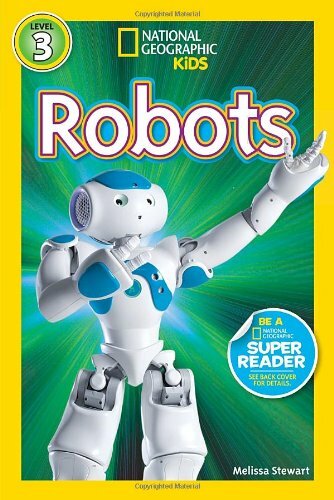 Yes, kids love robots! My son is on The First Lego League Team Robotics competition. Awesome learning opportunity! Last week, we went to view Sean Kelley’s Lego sculpture exhibit at our botanical garden. So cool. We did robot “junk” pumpkins a few years ago. That would tie in nicely with your theme and the kids had so much fun. And guess what . . . no carving mess. Thanks for popping over. Lucky you! I would have loved to see Sean’s exhibit. Got a change to interview him (http://brainpowerboy.com/artist-lego-bricks-interview-series-sean-kenney/) which was exciting. I love the idea of “junk” pumpkins. Thanks for sharing. I have three boys so I’m happy that I found your blog! You have some seriously great ideas! Thanks for making my day 🙂 So glad to have you here. oh we love robots! Thanks for putting this together! You are most welcome Samantha! We love robots too and it was a fun one to put together. this is awesome! I homeschool my little guy too, and I think that he would really enjoy some of these projects! Thank you for sharing! So glad you like the post. I am glad to hear that your son will enjoy some of the projects! AWESOME! I just pinned this. Thanks for sharing it at the #LaughLearnLinkup! Hi Michelle, Thanks for the pin–glad you liked it! 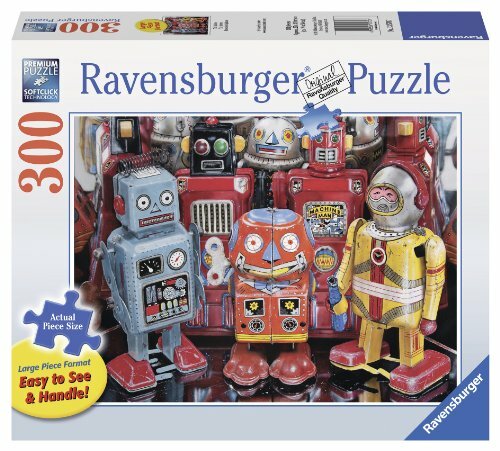 Don’t know how old your boy is, but a great robot activity (for boys and girls) is BEST robotics. Younger students can attend a competition and older students can join a team and build a robot. Thanks for the tip KarenTrina, it looks like BEST has not made it to our area yet. You are most welcome. I hope he finds something fun to do.